Analyze the communities you serve to see where your programs can do the most good. When you fuse demographics and location, you can better understand the links between your social services infrastructure and challenges such as aging populations, homelessness, and poverty. 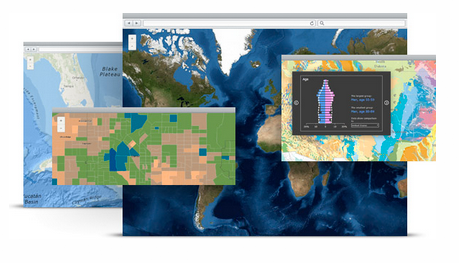 Streamline processes and better serve your clients with Esri technology. Make the most of your limited resources and better reach the most vulnerable constituents you serve. 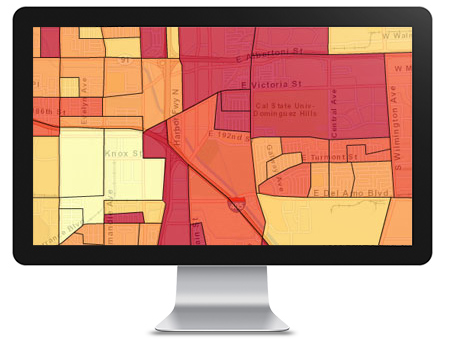 Maintain the integrity of your programs and uncover potential fraud and abuse through spatial analysis. Share your program data with public and private partners to grow awareness of community health issues. Quickly share your recipient and program data with other agencies in just a matter of clicks. 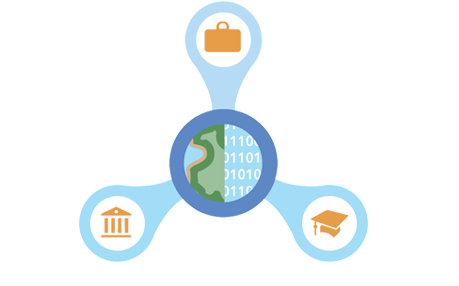 With ArcGIS Open Data, you can create interactive web portals that make your social services data discoverable and useable without compromising the integrity of your data. Give everyone in your organization the power to quickly visualize and analyze their data in the cloud. Create public-facing maps that show citizens where and how they can participate in your programs and build good will in your community by showing the results of your efforts. Tap into gigabytes of demographic data that can help you better target your programs to the neediest members of your community. Generate reports and maps in a matter of minutes that can show you where your efforts will have the greatest impact.